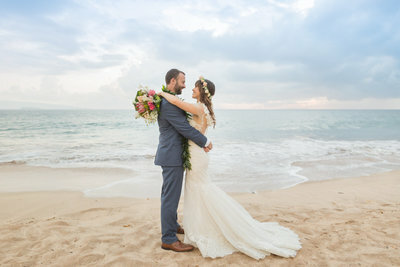 With the pretty Pacific crashing against the shore nearby, Christine and Jon were so excited for their intimate Oahu beach elopement. Together for exactly one decade, to the day, this was a moment of years in the making. 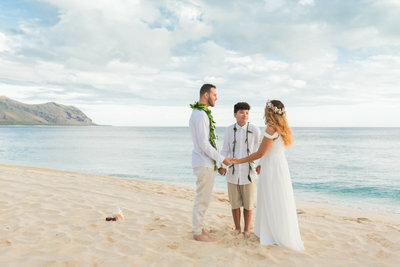 As a handful of loved ones watched on, they exchanged the vows that would start their new journey together; one where they would have new titles – husband and wife. It was an incredible moment in a stunning spot that will surely hold a special place in their hearts in the years to come. With sweet smiles and obvious adoration for one another, the adorable Arizona couple was an absolute pleasure to work with. 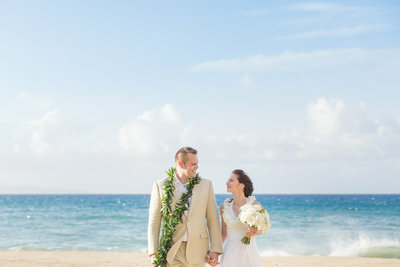 Thank you, Christine and Jon, for allowing Simple Oahu Wedding to be your Oahu Elopement Coordinator. It was an honor sharing in this moment of joy with you and we wish you all the best in your adventures ahead. Congratulations & Warm Aloha!!! 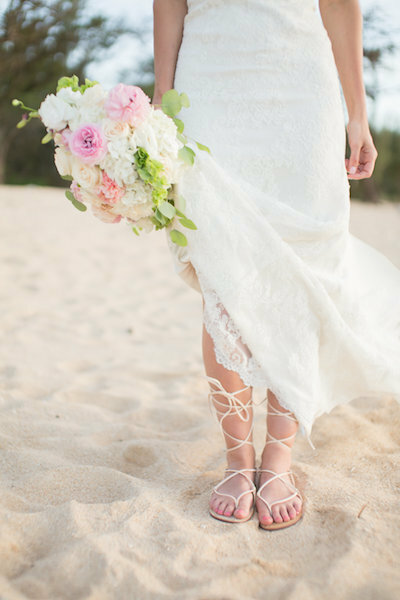 Check out Rhiannon & Nigel’s Oahu Beach Wedding!